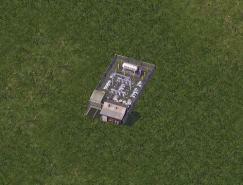 発電的な何か - "Something to generate electric power"
- This is a cheat power plant made based on the wind plant. - I made a this lot because it spoilt the sight when a huge power plant was made in each map. - The enormous amount of power generation is enough to fill the demand for the entire map. - Other stats are same as wind power plant.